Here we are again. Welcome back. 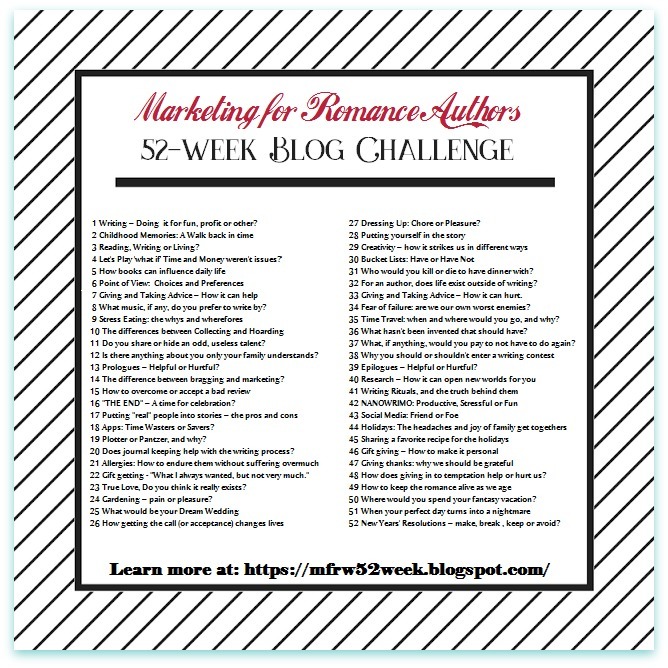 It’s Friday and time for another Marketing for Romance Writers 52-Week Blog Challenge post. It’s a blog hop, baby! I’m not sure if this means after completing a draft or after it’s been edited and ready to go. Either way, I don’t celebrate like I should, but for now it works for me, and gives me a period of down time after finishing a book. Upon completion of a manuscript, I’ll take a few days or a weekend to get away from the stories and relax with Netflix, movies, dinner with friends, or take time to read someone else’s book. To breathe. Send a manuscript to my editor. I RELAX and enjoy the moment after sending it to my formatter. FINALLY I’m thrilled yet celebrating subtly after I upload and hit publish. When my work on a book is finished, I’ll smile and tell my hero and his heroine they are ready to go out into the world. I will literally miss them when it’s over. This is why I write a series. I get to see them again. Celebration is simple because I feel like I’m on a timeline and need to get the next book started and written as soon as possible. Book sales are my survival. Book writing is my sanity. With my next book, which is the third book in a spin off series, Canyon Junction: Hearts in Love Series, I DO PLAN on gathering my friends and celebrating together. Oh, and to get a mani-pedi. 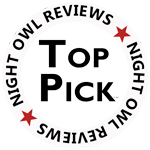 This is the time to hop on over to check out the #MFRWauthor Blog to find other participating authors. See ya next time.